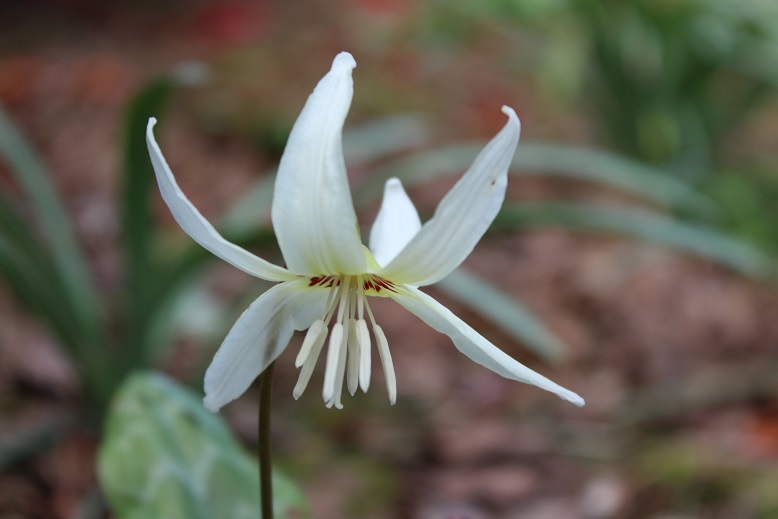 Last year my enthusiasm for Erythronium took me on a short tour through the wholesale catalogues and I was unable to resist 100 'White Beauty' which are now flowering for the first time. I have planted them in a mass under the Camellias. They have been a bit feeble in the first year but that is probably a result of being dried off and transplanted. I am expecting great things from them next year! My small plantation is slowly becoming a thing of wonder in early April. 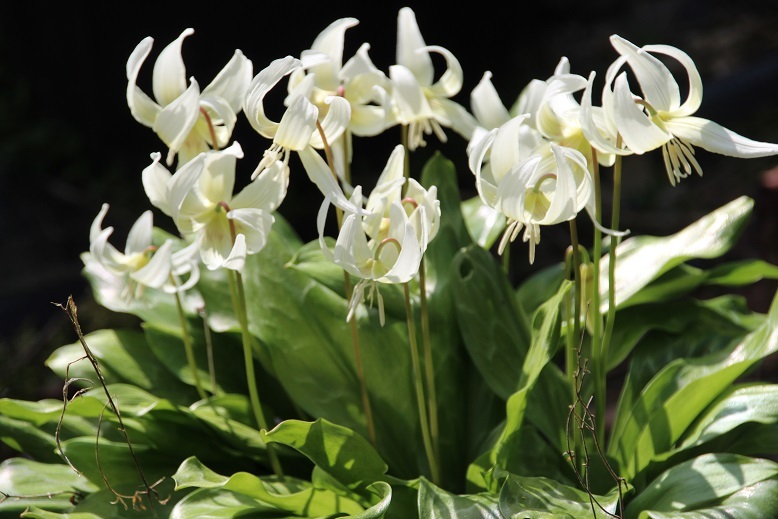 I enjoy them from the moment the first shoots appear until the last flowers fade and the leaves start to die back. 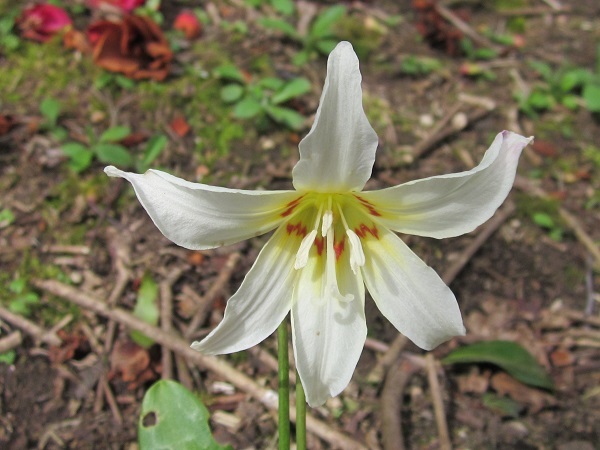 It is generally accepted now that this is a selection of E. californicum and not a hybrid.